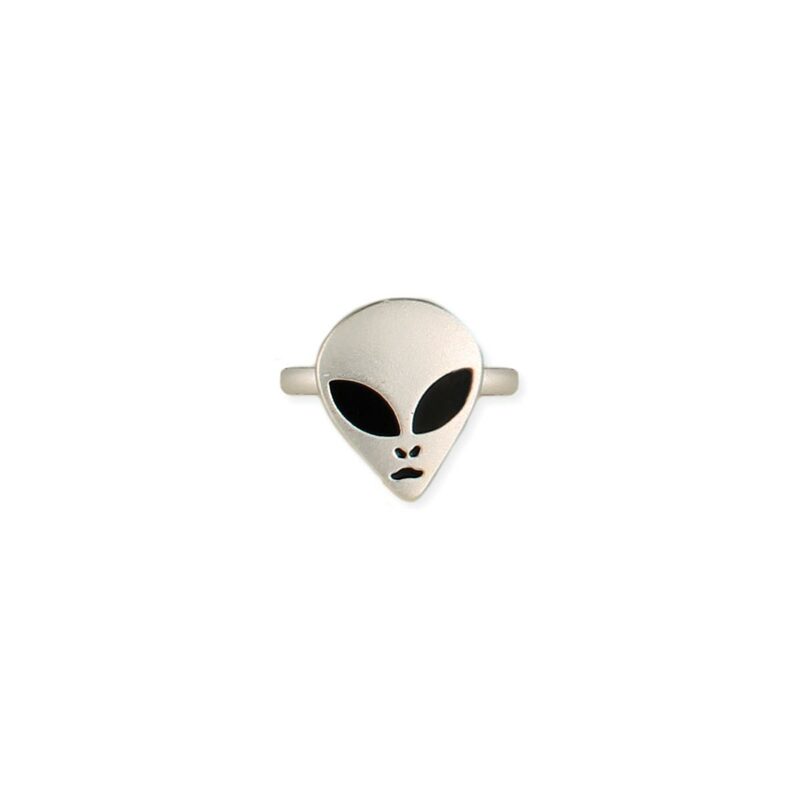 Matte silver metal ring with black enamel alien face. Measurements (approx.) 1/2" x 5/8"